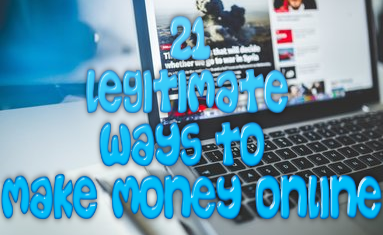 Out of all of the programs and products that are designed to make you money online and that I have reviewed, none of them quite compares to this program. While reviewing this program I found out how much of Ponzi scam this is and how many people have lost thousands of dollars the moment they were partnered with them. Before I get into the full review you must know this: This program is a huge Ponzi scam and this review will be more of a warning to help those avoid losing money from this program! BEWARE BANNER’S BROKER! 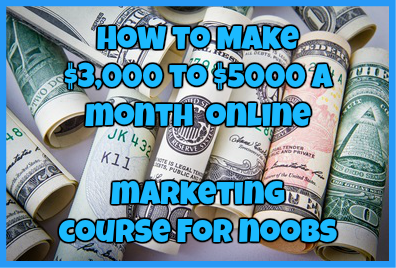 This program was originally designed to help people grow their online business using paid traffic services that use banner ads to feature this traffic and which can come in a variety of types and sizes. Right off the bat there are multiple problems with this program such as being lied to straight by the owners and having to pay money up front first before being allowed access to their services. Is Banner’s Broker a Ponzi Scheme? The answer to this question is a 100% yes. You can make a judgement for yourself but as an example I have placed an image here to show you of a group that I found on Facebook that claims this site is a Ponzi scheme. Come on, with over 11,000 members and still growing this raises immediate red flags in my head. When this many people are reporting that they have been ripped off by one program, something is wrong in my opinion. If you are not sure what a Ponzi Scheme is, I’ll help you out here. By definition a Ponzi scheme is an investment operation that is fraudulent that makes money from its investors (ie. You) and keeping all of the money to themselves. Based upon this definition and both the facebook group that I found, do you think this program is a Ponzi scheme? I believe it is. The price for this system varies greatly and is all based upon the kind of traffic that you purchased. If you are confused bear with me a little because I was confused at first myself. Each “package” that you can buy range in price starting from $150 and going up to as high as $11, 030. However, each package has prerequisites that must be filled in order to purchase it and you must invest more money into the program to buy the traffic hits that you want? Does that make any sense? No? Well pretty much you can either pay $150 for the basic package or $11, 030 for the prestige package. In my honest opinion, this program is designed to accomplish one thing and one thing only: make you go broke. With all the obvious complaints from people all over the internet and the ridiculous amount they expect you to pay in order to make a fraction of that money back, this program is definitely a scam. Not only will you not receive the commissions you are promised, but you will lose out on more money in the long run. Stay away from this program. Scam, STAY AWAY FROM IT! ← HubPages.com Review: Can You Make Money With Them? Thanks for your informative review on Banners Broker. I was about to do my own research about this product but fortunately I came across your review which was very helpful. With brief explanation you made, all my doubts are cleared. I will come back to your website to learn more information. Thanks once again!!! Wishing you great success!